Kathy Esposito, 17, of Lisle, recently competed at Special Olympics Illinois Summer Games for the first time. Kathy Esposito participates in the shot put at 2015 Summer Games. She attended the Games with her teammates from Lisle High School, where she graduated this spring. Kathy was active in the gamers club and French club and counted gym and math as her favorite subjects. While in school, Kathy competed on the varsity softball and bowling teams. 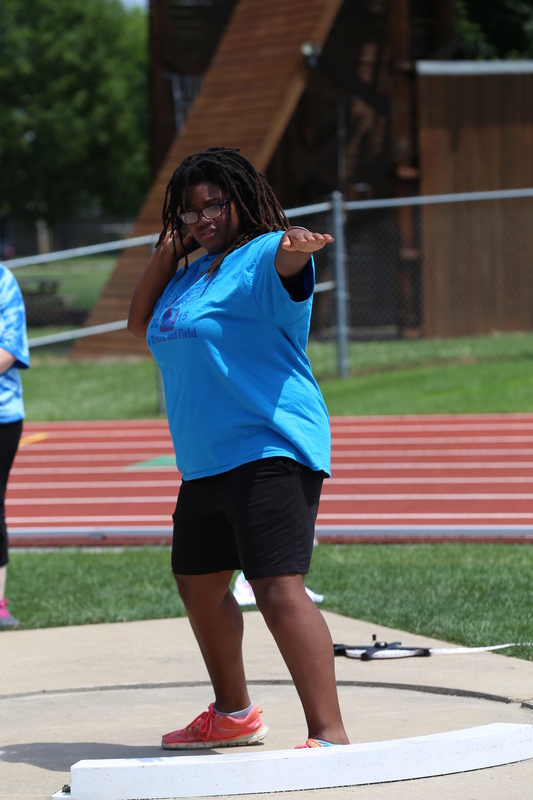 In her first year with Special Olympics, Kathy competed in the shot put and 100-meter run, qualifying to compete in both at Summer Games. 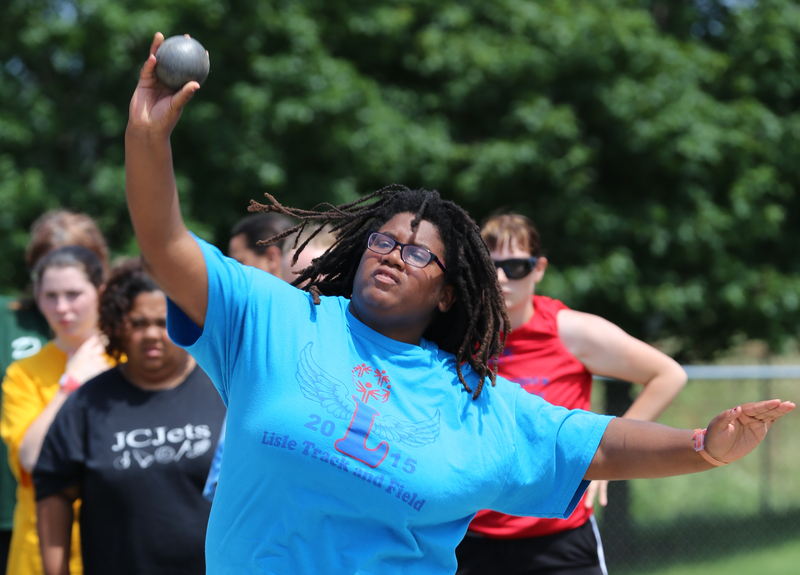 She earned a silver medal in the shot put and a 6th place ribbon for the 100-meter run. 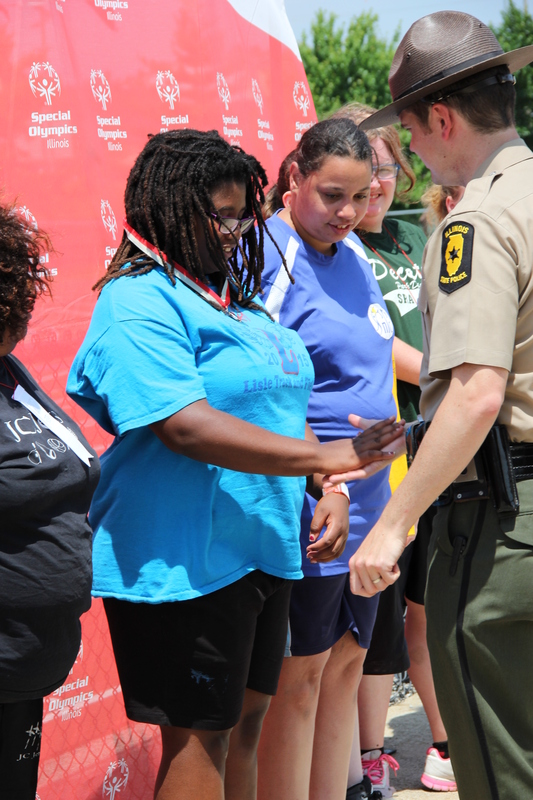 While Kathy says she won’t be competing in Special Olympics in the future since she graduated, she does intend to stay involved as a buddy at the high school. She’d also like to be a Special Olympics coach in the future after completing additional schooling. “I really enjoy helping and getting involved in charity work,” she said, citing her past involvement with pets, the homeless and her church. Kathy will let that generosity toward others guide her in her career choice as she enters Joliet Junior College this fall. She wants to study either childcare or culinary arts. And, she’ll have a lot of support if she chooses culinary arts because her father, Todd, an uncle and several cousins own several Culver’s locations around Chicago and in Wisconsin. Culver’s is hosting a ButterBurgers & Badges fundraising event from 5 – 9 p.m. June 30 at 45 locations around Chicagoland.